A sea of sails in the western Solent at the JP Morgan Asset Management Round the Island Race. 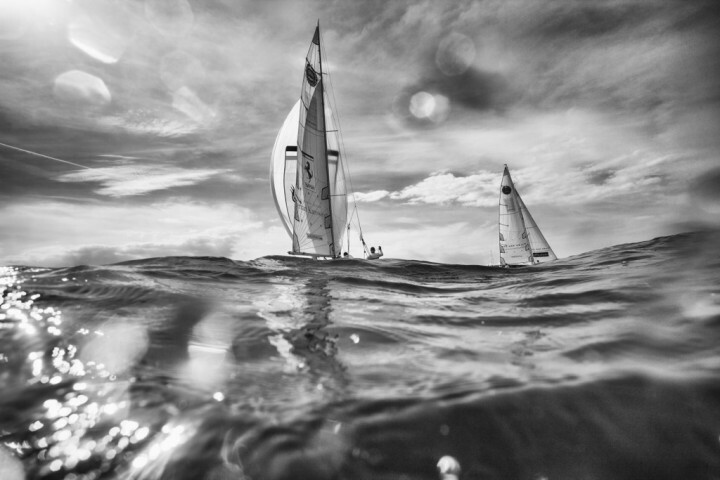 Over 1,500 yachts compete in this annual event. There was very little wind this year and the boats look like they have been placed on the water as there are no wakes from any of the yachts.